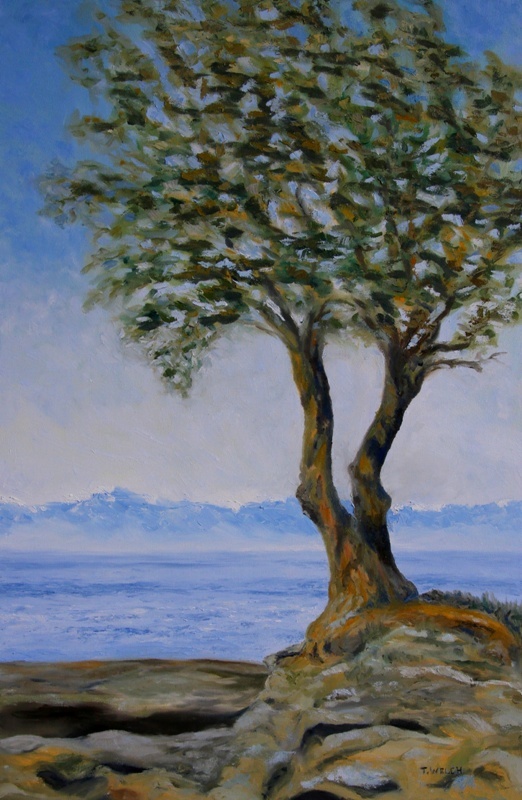 Completed in late March 2013, this painting has been slow to release for purchase by Canadian contemporary landscape painter, Terrill Welch. For all its gray-scale rendering this painting is anything but neutral. The sea rolls forward onto the shore. Trees tingle from the day’s sun while the rocks release their summer heat as the water charges across their surface. I am there. You are there. The salt spray is moist on our skin and the rhythm of the sea matches our breath, our heartbeat, and answers a call to all that is knowable. 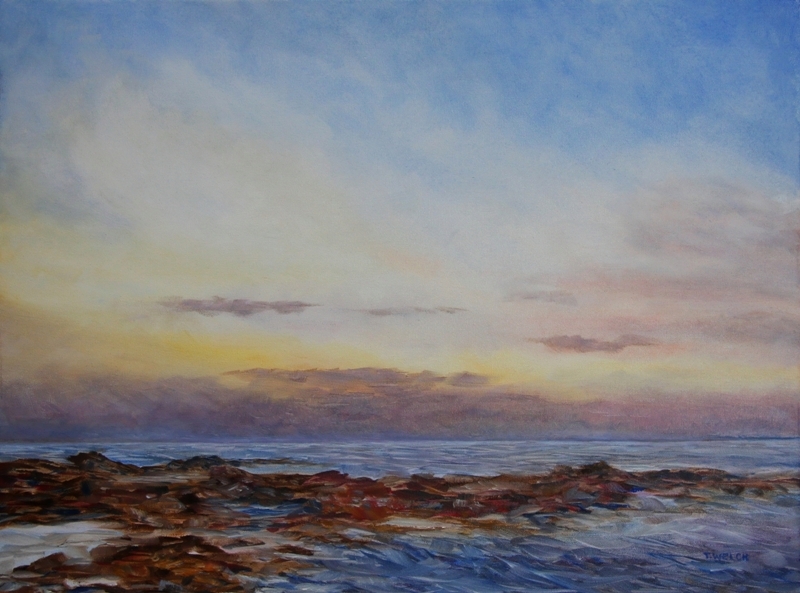 RHYTHM OF THE SEA EDITH POINT 20 x 40 inch oil on canvas. There is more background and work-in-progress information about this painting on the Creative Potager blog HERE. This will be one of the paintings featured at my November 9th & 10th Open Studio event.